While Vermont is home to so much natural beauty and pastoral splendor, the state does face some seriously harsh winters. When you have to put away your real bike, that's when the wonderful spin classes of the Green Mountain State come in. 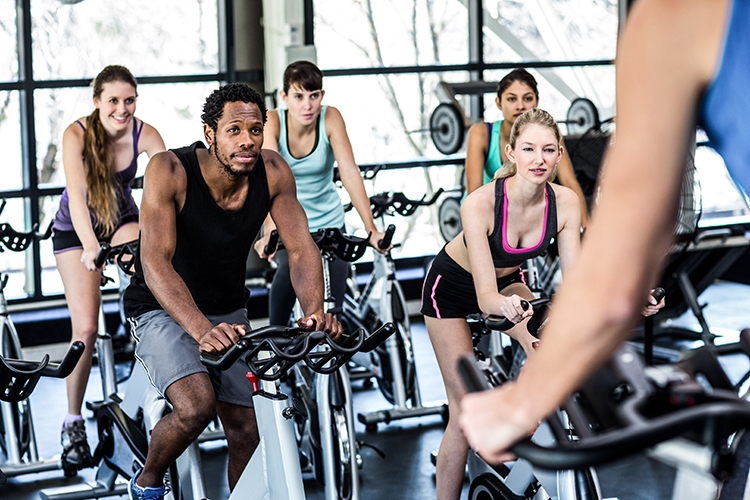 Spin classes are a great form of cardio and create an environment of great comradery. Next time you're looking to spice up your fitness routine, check out the best spin classes in the state. With a mission to ensure that every member “leaves the gym feeling better than when they came in,” Vermont Sport & Fitness bills itself as a high-quality health club. Also, this multi-year winner of the Rutland Herald’s Readers' Choice Award has over 25 staff members to assist you and offers personal training, tennis lessons, nutritional support, and spinning four times per month. There one mission at REV Indoor Cycling: “to provide you with an incredible indoor cycling program designed to transform you physically, mentally and spiritually.” Plus, at REV, they believe that music is a vital part of exercising, and who doesn’t get jazzed about that? Moreover, the cycling community is self-proclaimed as energized, upbeat, and ready to get down to the business of burning calories. Synergy is a fitness destination that seeks to inspire healthy living in the local community while remaining accessible and affordable. This LEED-certified facility features an active owner and gym member who is usually on-site, and you can find group classes in yoga, Zumba, conditioning, Pilates, as well as cycling and spinning twice a week. Boasting a 15,000-square-foot facility, Supreme Fitness, Inc., claims to have “something for everyone who walks through the door.” You will find free weights, exercise machines, cardio equipment, as well as a wide variety of group exercise classes. Plus, cycling and spinning are offered six-day a week, and classes feature hills, flats, climbs, and many for exciting and challenging features. Fair Haven Fitness is locally-owned-and-operated by Jamie and Meghan Matta, and their gym is continually evolving and improving toward the goal of being the best fitness facility in the area. Plus, their gym offers yoga, boot camps, group exercise classes, and so much more. Moreover, you can find spin classes on state-of-the-art stationary bikes twice a week. Offering boot camps, a free-weight room, strength training, barre, yoga, cardio, Pilates, and more, Marketplace Fitness is located in Vermont’s beautiful Queen City along the Lake Champlain waterfront. Plus, personal training and small group classes give the gym an unexpected intimate touch. And, you will find spin classes offered four times per week, and a relaxing post-workout sauna. At Ride, you will enjoy a cycling experience that boasts high-energy music, interactive instructors, and real-time visual aids. This indoor cycling studio offers spin, boot camps, TRX HIIT, Barre, and Core classes. Plus, state-of-the-art FitMetrix technology allows for real-time tracking of calories, heart rate, effort points, and a customizable leader board for group efforts. Established in 1984, Vermont Sun Fitness offers cardio and weight equipment, as well as yoga classes, Body Pump, aqua aerobics, senior fitness, Pilates, and core classes. Plus, you will find an Olympic-size swimming pool and even a kiddie pool, and, what is more, you will discover spin classes Monday through Friday and also on Saturday. Known for its attentive and knowledgeable instructors and staff, Middlebury Fitness was established in 1997. This gym offers personal trainers and group fitness classes including Body Pump, RasiedBarre, Zumba, yoga, strength training, senior fitness, and so much more. Plus, you will find a comfortable locker room and a rejuvenating sauna onsite, as well as spinning classes six days a week. Hot Wheelz Cycle Studio is dedicated to offering high-quality spin classes in the Putney area, and the studio is, by many accounts, both warm and inviting. Promoting spinning and only spinning, group classes at Hot Wheelz boast choreographed lights and music to keep you energized and focused. And knowledgeable instructors will keep you motivated at all times.